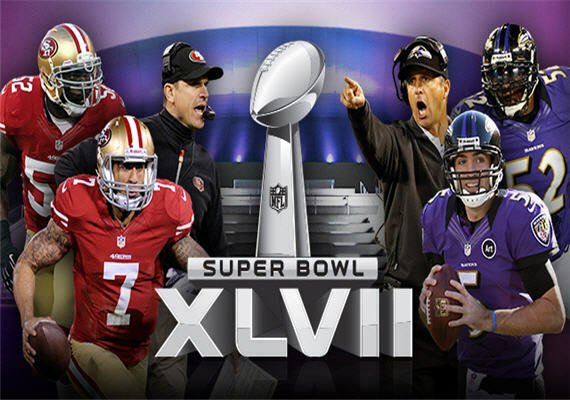 On Wings of Eagles: Are You On God's Super Bowl Team? I don't know if you are 'in' to football or not. If you are, then you are probably aware of the significance of the Super Bowl. If you are not, you should know that this is one of the biggest sports events of the entire year. There will be an estimated 130 million people from nearly 200 countries tuning in to the colossal contest. We don't exchange gifts or cards, but Super Sunday might as well be a holiday given the number of gatherings and the bazillions of dollars dished out to devour delicacies such as Domino's and Dr. Pepper. Have you ever thought about how your view of the Super Bowl says something about you as a person? To me, the Super Bowl and all the accompanying festivities brings out three types of people. First, there are the Inquisitive. These are the folks who are curious about the flashy new commercials and enjoy watching grown people yell at inanimate objects while putting down more food in four hours than a family of four does in a year. Then there are the Indifferent. They could not care less about the contest, the commercials, and even the condiments. What attracts these folks is the gathering. It's a chance to get together with friends and take a break from life for a few hours. Finally we need to mention the Interested. To them, this really is about the game of football. It is the ultimate championship where five months of battling champions. Perhaps you can relate to one of these categories of people- or maybe not. As you watch the game, the commercials or just enjoy being together with people I would like you to consider how the Christian life relates to Super Sunday. When you trusted Christ, you joined a team and you picked a fight. We were 'drafted' from darkness to light and from the power of Satan to God (Acts 26:18). Every second of every hour of every day we are engaged in a contest that is bigger than all the Super Bowls combined. Instead of 130 million people watching, we have billions of angels and the God of the universe tuning in. This doesn't involve over 200 countries- rather our battle encompasses the entire physical and spiritual universe...and just like the big game, it generally brings out three types of people. First there are the Inquisitive. Oh yeah, they know that there is an intense and eternally significant war going on- but their real concern is entertainment. They are always into the latest Christian fads and watching other people make fools of themselves as they get 'radical' for Jesus. There may be a battle going on, but you wouldn't know it by watching the Inquisitive. Of course there are also the Indifferent. Becoming a believer was fire insurance for the future and a party for the present. They could not care less about advancing God's Kingdom and fighting the good fight, there are too many church functions going on! The Indifferent have been out of the battle so long they wouldn't know a non-believer from a golden retriever. Remember that someone else is watching you to see which type of believer you have chosen to be. Just remember that God's starting line-up has plenty of positions open...are you Interested? Dear Lord, we pray today that we would be interested, that we would be working to further Your gospel to the world around us that needs You so bad. In Jesus’ Name, Amen.